we are company professionally produce all kinds of Alu-profiles,locate in Gaoming Districk Foshan city Guangdong province China . 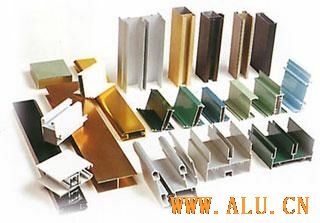 We have ability to produce all kinds of Alu-profiles such as Sliding windows casement windows and doors,curtain wall,closet ,blades,rails.And we have all kinds of pfofiles coating ,like powder coating ,anodic oxidation,heat transfer imitated and so on . If those points relate to or you are intrested in those ,please contact with me !